a bony homunculus, solemn and all-knowing. for the Gospel of St. Luke, and for us to sing in church. Two other youths try to lower a crown onto her head. peeled back to expose its packed rubies. and tart as ever, glowing like blood cells. more like grapes glowing from a low trellis. the painting’s frame--Joseph laboring on a baby bed. when he cries, to her leaking breast. through the lens of his devotion into this ornate room. “How can this be?” circles her mind with its echo. 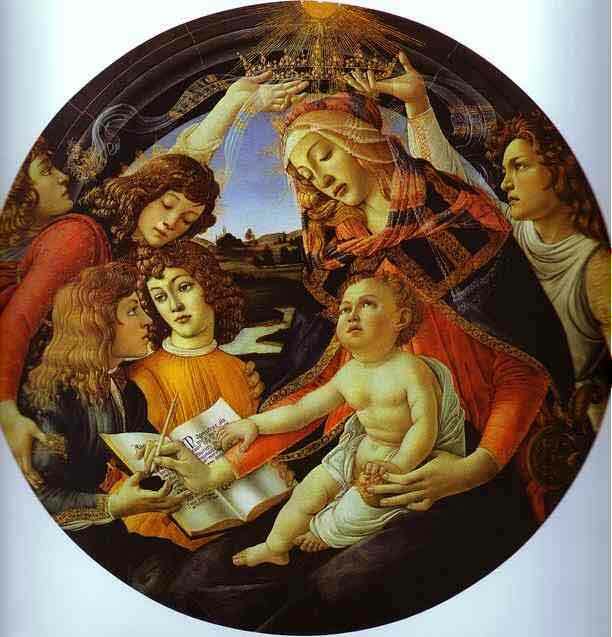 Botticelli’s Madonna and Child, with Saints was published in Luci Shaw, What the Light Was Like, 2007.